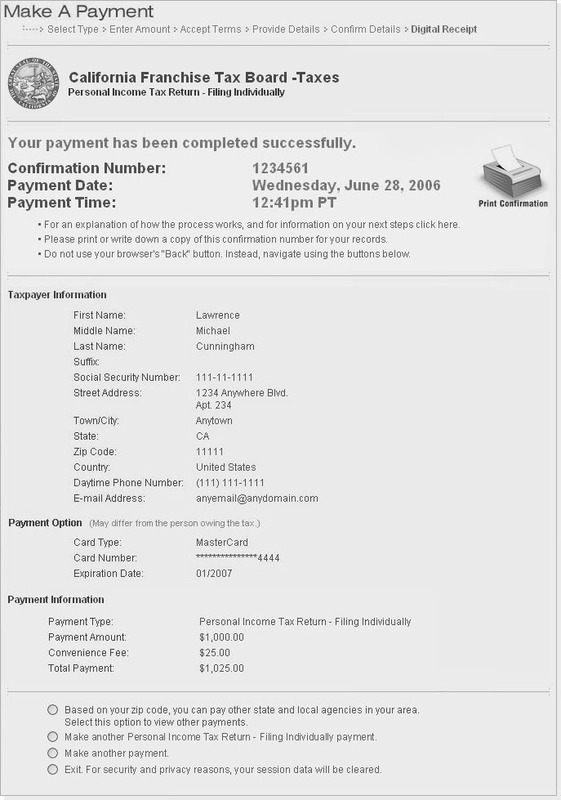 Official Payments issues a digital receipt containing a confirmation number for all successfully completed payments. You will also receive this information via e-mail. We encourage you to print the receipt for your records. This concludes the Official Payments payment process, and from here, you may exit the site or continue to make other payments.